This is tip #3 from the 30 Day Challenge to Save $1,000. Today’s tip is to sell something from your house on eBay. But surprisingly, it doesn’t really matter what you sell. I’ve noticed lots of commenters saying how they’ve already cut down on lunches, heat, etc. So what can you do next? If you’re already being frugal, the next step is to make money. I want you to get there, and today’s tip is designed to be a gradual step to earning more. It’s specifically intended for two purpose: To symbolize to yourself that you can sacrifice by selling something, and to symbolize that you can make more money than your standard income. Once you do that, there are many other ways to generate income. Notice I didn’t say the point of this is to make money directly. That’s because you probably won’t make very much from selling a given item on eBay, and it’s frankly probably not worth your time to sell, pack, and ship a $10 item (read more). But that’s not the point. The point is the symbolism of cleaning your life and generating even a small amount more money than you normally earn. Everybody can sell something. Something you’ve been wanting to get rid of, or something you keep insisting you’ll use, but you know you really won’t. This tip applies to everyone. I used to work at a consumer-goods auction company (“You drop it off, we sell it on eBay”) and learned a couple things about selling. Do this: Set your item to sell for the minimum amount with no reserve. There are certain advantages to different sales lengths, but we don’t need to split hairs. For today’s purpose, set the length of the sale at 5 days so you can get quick feedback. And pick something that will sell for a decent amount — say, $10. No, nobody wants your grandma’s old sweater. Remember, the point of this is not to make money. It’s to psychologically commit yourself to saving money. It doesn’t matter if you make $10 or $300, but I want you to sell something at least $10. Then do it a few more times this month. I’ve been meaning to sell things on ebay now for months. I’ve got computer parts to collectibles, worth maybe 10$ to 750$. My fear is some of the top end stuff not selling for as much as it really should. But I’ll break that barrier and work on getting something if not multiple things on ebay tonight! Partial issue I’ve had on the collectibles though is for instance old Baseball cards, sell more if graded which costs money which in the main challenge posting I stated is hard to spend since we’re (wife/daughter) are drowning a little bit each month. Would you suggest cough up the money to hopefully get more in the long run out of the item, or go ahead and sell it and just hope to get what I think is good, and deal with it if not? –Also Ramit only mentions Ebay, there are probably some people out there who haven’t used Ebay, Paypal, Craigslist, or anything of the sort. If you’re on here its unlikely that is the case, but then again there is always a theoretical runt ( of any type or sense, no offense intended if you fall in this category ) of any body/group. I suggest asking a friend/relative to help you learn initially or to look for any kind of step by step tutorial or informational source via Google or what have you. –If worse comes to worst and these aren’t options for you, try selling that thing your friend has been haggling you for, check out any shops that purchase items to be resold. Good Luck and chin up, there is a way. Yep, that’s classic. People tend to overvalue their own goods and get disappointed when they sell for far less on eBay. For example, when I worked at that auction startup, we would have people bring in their 4-year-old old computer and expect it to sell for 50% of the price. Try 5%. I love your attitude — just go sell something! But yes, don’t expect to make a lot directly off the sale. I have a pile of goods ready for posting on e-bay, but first I’m going to join in at our community garage sale this weekend and try selling some stuff. This is a big step for me because I hate, hate, hate selling my stuff at garage sales. It seems so demoralizing to have something I paid so dearly for bargained down to a fraction of its original price. Needs must, so I will be up bright and early this weekend hoping to bring in at least $100. I’ve been doing a lot of this over the past few months. Mostly I’ve been selling on behalf of my mom, who recently downsized to a studio apartment in NYC (and is loving life!) Sometimes it hurts to see something that’s been in my family for decades go out the door for a few dollars, but I just try to remember: a) I’m not using it, b) the person who bought it obviously wants it and will use it, and c) the whole point is to get it OUT OF THE HOUSE. Seriously, the more stuff I get out of my house, the more spacious it feels. I even freecycle big, bulky, not-worth-it-to-try-to-ship stuff just to get it out. I know Ramit’s point was to explore alternate sources of income, but there’s a lot to be said for a clutter purge, other than a trickle of income: a) your house feels more spacious, b) you get so sick of looking at junk that going shopping feels like a waste of time, c) you free up psychic energy you were spending disliking the stuff every time you looked at it, d) because your house is more consciously “curated” (if you will), it feels more like “you” and less like a warehouse of random stuff, e) you might even get rid of enough stuff to downsize to the afore-mentioned cheaper apartment, f) good freecycle (or Salvation Army) karma. Get rid of the junk, people! Yes! Suzyn put it better than I did — although you’ll make a litle money, there are MANY other benefits to selling stuff. We’ve done great on E-bay. It matters what you’re selling. There’s a reason why it’s called the international garage sale. And just like a garage sale, do you really want to put it back in the garage? Are you getting anything from it there? Either use or money? If the answer is no, then sell it. Someone else will use and like it, you’ll make some coin and it’s out of your house. Reduce, reuse, recycle. Also, buying on E-bay saves money. Just don’t get into bidding wars. You have to be around to pay attention to the auction. Only auto-bid to your max. limit. thanks for this reminder. I have a ton of old collectibles and have done very well on ebay in the past, but the chore of photographing and writing and scheduling had gotten the better of me. I knew there was a client for the Mac that helps you manage auctions, but had never taken the time to research it (because Auctiva, the free one, was terrible, and cost me money with the amount of mistakes I made via its horrible and confusing UI). In addition to eBay, there are books and cd’s that you can sell on Amazon and Half.com, and that’s even easier than eBay because you don’t have to write descriptions or take photos. I stopped because Amazon made a mistake with one of my accounts and I had to start over again and set up a new seller account. i am going to do that tonight and list 5 things. It’s surprising what you can make money from, no matter how crappy you think it is. I’ve sold stuff like a used purse I got at a thrift store for about the same as what I paid. Not bad after having used it for several months! One tip I’d like to mention is to offer international shipping – but be VERY careful, or else you might lose money, so actually calculate it out. I have made so much money from selling to international buyers that I would have not made otherwise. Even if they don’t buy from you, they’ll still help bid the price up. Great advice. I’ve made thousands of dollars by simply doing something that I needed to do, a.k.a. downsizing and getting rid of “junk”. eBay is also a great place to get deals. I recently purchased two year’s worth of razors for 70% off the price that I’d pay at a retail store and some new brand name athletic socks for 1/4 the price I’d pay at the mall. I also highly recommend Craigslist as a vehicle to sell things. You don’t have to worry about shipping the item, you can take your time selling it in order to find the right buyer/price, you don’t have to give part of your sale to PayPal and you get paid in cash. The downside of course is that you have to negotiate one-on-one with buyers rather than letting them compete through eBay’s market, but as long as you’re firm with your price and realistic in your expectations there shouldn’t be a problem. I use both websites depending upon what I’m selling. Woah. I already have 5 bids and the price is $19.98 so far. I’m gonna be rich!!!!!!!!!!!!!!!!!!!!!!!!!!!!!!!!!!!!!!!!!!!! I sold my iPod this morning for $120 (buy it now)! I wasn’t expecting to get anywhere near that. While decluttering a few months back, we unloaded a broken laptop for $220 and an old digital camera for about $90. We started the bids at $0.99 and had no reserve. It was awesome! Since we’re having a baby in a few months, we’ve already gotten rid of all that we’re willing to part with, either via eBay or taking it straight to Goodwill. I just finished selling a few things on ebay last week. We had auctions up for 20 items, but only 8 sold. After fees and shipping, we made about $50. I’ve been doing this lately – partly to make amends for spending a bunch of money on ebay a few weeks ago… *sigh*. Getting rid of the clutter is great, and my ancient digital camera, which I thought was worth about $10, is already bid up to $30. Huh. Great tip! I have a small bin with stuff I’ve been meaning to list on eBay so this will be a push to list at least some of the items. 1. As, others have said, no matter what price you get for an item you are still gaining the gift of less clutter. 2. I do not look at selling my things as “trying to get back my money”. I figure that at the very least I have paid “rental” on an item and that’s the difference between what I paid for it initially and what I might get for it on eBay (or Craigslist, or a garage sale, etc). 1. It is better to list multiple items at the same time if you can. Buyers will click to see what else you have on sale and you can offer them a shipping savings deal. 2. Include a picture of your item in your auction (listing, etc) try to take as nice a picture as you can no matter what camera you have. Dust or clean the item before taking the picture. Posted! I’m not sure how much I’ll get for it, but I’m not able to use it. If this goes well maybe I’ll sell some random computer parts. How timely! I wrote on my blog only a couple of days ago about how changes in the economy have effected sales on eBay with the weak pound making it an ideal time for people in the UK to export to Europe (here is the Link). I have had quite a bit of success selling on eBay although had to quickly learn that luck seems to play a huge part in how much each individual item sells for. Some stuff that I thought would earn me a fortune went for next to nothing, whilst other stuff which i was embarressed to even take to the charity shop went for loads! I would actually suggest that you try selling 10 items rather than just one, otherwise it could be very demotivating if that item doesn’t sell. You sure got some good bids, Ramit! i haven’t yet read through all the comments, so forgive me if i repeat something, but i recommend selling on other sites/ in other locations than ebay because relatively speaking, ebay charges a lot for fees for your listing. i have had a lot of success selling books, music, and dvds on half.com or amazon.com’s marketplace, where they don’t charge you to list and only take a couple bucks from a $20-40 sale (less for something smaller). also, there are several selling blog sites where you might be able to sell something for no fees at all! i use LiveJournal, for example, and some of the communities i belong to have sale days or are all about sales themselves, and i can set a price, negotiate with a potential buyer, include shipping prices, etc. in a very informal environment and with no fees factored in (unless i do a transaction via paypal, but those fees are pretty small as well). I agree with stefanie. I use Livejournal for selling too. It’s actually a great place to buy and sell certain things, and several markets really thrive there. I usually list there when I think I could actually get more that way as opposed to eBay, or if I have a lot of small items like trading cards I don’t want to bother listing on eBay. Love this tip! I do think it’s important to sell items that will net you at least $5 or more. With eBay’s fees, time it takes to create an auction and the time it takes to pack and ship, it’s important to be efficient. I have made about $1500 in 2008 just selling stuff from around my house that I don’t use or want any more. If it’s not worth my effort to sell it on eBay, I donate it to the local Goodwill. I also buy a lot of my clothes, books, household goods and even cars on eBay. I am really excited about this tip today..and the reason? Last week a lady at work was saying she was looking for a Tupperware sales person because she was looking for an old item, an old green bowl with a cheese shredder lid…I had one that I had taken from my moms a few years ago. I told her I would bring it to her. I brought it to her today and she gave me $15! Does that count Ramit? Reader Tip: Return things that are defective. Until recently, I was surrounded by things that I had recently bought that were defective (ie: gave me a rash, had some part broken) or somehow did not work as well as expected. Instead of immediately returning it, I used to let them sit around gathering dust. If something doesn’t work, return it right away. There is no reason to keep something if it still falls in the return/exchange policy. Not only will you get your money back… but you will unclutter your mind from being surrounded by broken/defective stuff. Last night I listed 23 books for sale on Amazon. A couple of them even qualified as “collector” books, so I could charge $20 or so for them. With Amazon be careful that your sales price +shipping allowance covers your costs after Amazon’s (very high) fees. How do people make money selling books for $0.01? I’ve purchased but never sold on eBay before. Will put up an auction tonight as an experiment. Last year, I went on a decluttering/selling spree. I sold three or four thousand dollars worth of stuff over 80-90 transactions on both Craigslist and eBay. While it took a good deal of time and became a second job for a while, it was well worth my time for both the money and the psychological benefit of having a less cluttered home. 2. Electronics are easy to sell if they are somewhat recent. eBay or Craigslist. People know exactly what it is they’re getting because they were searching for it in the first place. The people commenting about surprising amounts for camera sales above? It happened to me too. Popular electronics are really easy to sell on eBay (and Craigslist). 3. Craigslist is the perfect place to sell furniture. (Remember #1, and take good pictures.) If you want to give it away and it’s a decent piece of furniture, be prepared for a good number of emails about the item. 4. Framed art? Forget it. My wife and I had a bunch of framed art prints that we wanted to get rid of that I thought would sell. It didn’t (except for a few), and was a complete waste of time. Give them away (if you can) or throw them away. 6. Know anyone with an established eBay account? Try to get him/her to help you, even using their account to do so. Ramit – what do you feel about selling things to Half Price Books or other in-person options? Is that essentially the same thing, or do you see some value in eBay specifically? I think this is an excellent idea for the “de-clutter” mentality. I find that if I’m focused on not cluttering my life, I buy less (often telling myself in the store NO, you don’t need that!) and save money that way. I have a box ready for EBay now! I’ll post tonight, go suggestion. I should just keep selling until all the boxes in the garage are empty! This is the main thing I’m supposed to be doing to bring in some extra cash quickly, but keep forgetting to do. We have a huge sofa chair in great condition and some professional musical equipment speakers we would try to sell for $100 and $200. An extra $300 would be nice and it would go straight into savings. Hey this one seemed to really bring out the positive responses in folks even if they weren’t getting rich. We haven’t really done well with Ebay but, Craiglist fit us. So we are content with that. Glad to see a pretty positive response and hopefully folks will realize many variable options and opportunities. 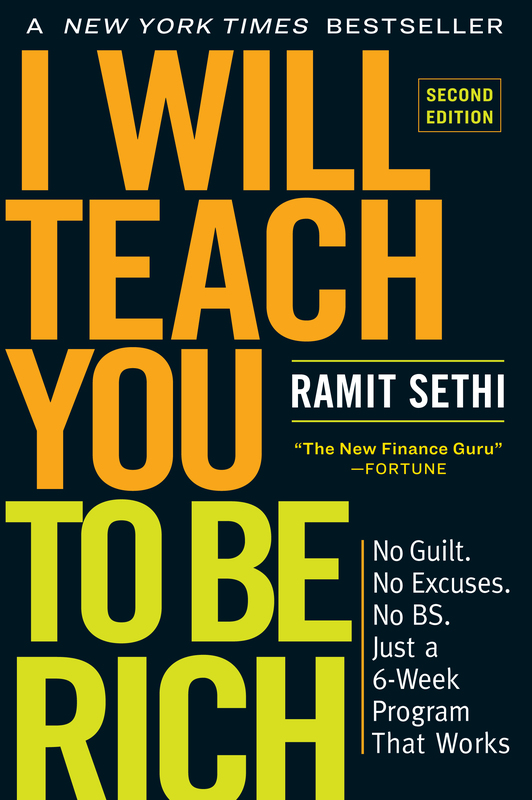 Thanks Ramit these 3 tips are certainly all viable. Glad to know so many people are carrying their lunches and have their Thermostats set. Onward and Upward. P.S. I’m selling on Craigslist because there are no fees involved, I don’t have to ship and the people come to me! My husband used to have really, really long hair (20 inches, at least), so we put into use a contact we had at P&G research and we cut off the ponytail and sold it to them. Actually, we cut the hair about a month ago and today I finally got around to calling P&G. Profit: $550 and minimal trauma on my husband. We also had a couch sitting in our basement, so I posted a picture on craigslist.com. I just got a call from husband saying that someone just picked it up. Profit: $200 and more room in the basement! I will actually do the ebay when I get home from work. I think those antique china figurines sitting around would get five or ten bucks. 0 for 3 — already selling on Amazon, Craigslist, Facebook, Boardgamegeek, and work intranet, although not much on eBay. Bringing in about $100 each month that way. We’ll go ahead and count any of this month’s sales towards this experiment. Shipped a book to Japan on the 1st. I recently traded in my old ipod and cellphone on Flipswap and made $70. It was easier than dealing with Craigslist or ebay. I have a lot of books I want to get rid off, but ebay is intimidating and selling on Amazon wouldn’t be worth it. But I’ll figure something out. I also have a lot of clothes I want to get rid, so I’ll take the better ones to a thrift shop and donate the rest. I’m looking forward to implementing this tip. I’ll both have time and need the money after I get laid off next week. hmm… what more can I sell :). HI– I’m just joining today since I found this site. I listed an antique iron bed frame on Craig’s List for $100. I already have had one response! Your post has encouraged me to sell it for less if I have to rather than hang on to it. It’s worth nothing sitting in my garage! This is a very good tip, but I am right now a little bit discouraged because all day nobody has yet bid on my virginity. Between my SO and I, we have about 1000 vinyl’s to sell including rare and collectable albums. We may get about $15K+ for them from selling them one at a time (not on ebay!) which will take some time. I don’t know if I have anything worthy of eBay or not. Books that I am getting rid of now (to a local recycling center) are pretty useless to most people unless someone needs a book on Windows 95 or traveling to China circa 1990. I have a large mixer that would probably cost more to ship than sell. That is something worthy of a yard sale or Craigslist. Ill keep looking for things to sell on eBay! Hey, if you live in the Seattle area I can sell stuff for you on eBay! Email me! Great tip. I go through periods of decluttering, listing on ebay, and then donating whatever doesn’t sell. I don’t always make a lot of money, but I always get a little something. I forgot, though, how the biggest reward comes from the freedom – no physical clutter, no brain clutter! I also get surprised at what makes money and what doesn’t… and don’t forget that a lot of money can be made with pick up only listings if you live in an accessible area and don’t mind people coming by. This is a great psyche tool. It feels good both to get rid of old junk, a bit of cyber feng shui?, and you get a couple of bucks. Every once in a while I go around my place and collect a box of a dozen or so items I don’t really need/want anymore. I’ll maybe get 10-15 bucks each, but at the end of the month, when you are looking over your ‘additional income’ its cool to see that some random ebay sales actually paid your netflix/xbox fees! I use Craigslist instead, simply because I don’t have to pay a fee. I have a bird cage I’ve been meaning to sell forever that’s just sitting there. Now it’s up. 🙂 I’m also going to put up all my beanie babies. I might put them up on both craigslist and ebay but they’re not worth much on their own. you can’t sell on Craigslist? if it’s illegal to sell them or not. This is a really good one. Not only sell your own stuff, but if you’ve got some friends or grandparents that are hoarders, maybe offer to take some of the stuff off of their hands if it’s of any value. They might even thank you, while at the same time you make a few bucks. I’ve been selling on eBay, Craigslist and Amazon since May. I’m down to my last few items to sell. So… no luck with tips 1-2-3 as I’m already doing them. Now this is a great tip. Now I have never sold anything on E-Bay before. Are there any upfronts fees? Who pays the shipping? Just last week I was thinking about taking my Ab-Doer machine to a local cosignment shop. Would I be better off doing this or selling it on e-bay? I can probably find some other things around the house that I can sell as well. Normally, when I have things I do not need, I give them away to someone who needs it since it is more blessed to give than to receive. However, I usually do a great job of keeping unused items out of my home. In fact, I make it my business every summer to get rid of something. My husband will tell you that I am the most clutter free person he has ever met. I sell things through our companies internal “Trading Post.” Last week I sold an unused lotion for $30 (expensive because it was Chanel)! I had received two, and would never go through two bottles fast enough. It had been sitting in the closet for months. I’ve never tried eBay. Maybe I’ll look into it for items that don’t sell on the Trading Post. I added “Total Savings: $40 to $100” to this entry because I think you can hit that easily if you sell a few items. Probably knock that up even more if you’re really good about it. I am selling my stuff today! Here is a site where I am trying to sell all of my gadgets I will never use again. Ebay works as well but I like their site. Good tip! I will pass this idea on to my husband, since he is in charge of the home and would be the one to do this. Maybe we’ll try this challenge in a few more months – once we’re done with our weight-loss challenge. You can always try Craigslist or Kijji to sell things before sinking money into selling on eBay. Also various online bulletin boards (for example Mom2Mom) have specialized For Sale forums where you can sell specific items (such as toys or kids stuff on Mom2Mom). This is a great tip. I just read recently that according to Fung Shui, one should keep clutter at bay to allow room in one’s life for new experiences, items, people, etc. I strongly feel that selling your clutter, regardless of what method you use, will bring positive influence into your life. In my case, I have had a small pile of things that I have been meaning to sell for several months now. Although I’m not officially doing this challenge, I’ll make an effort to get those items posted ASAP. I opted for craigslist because I’m lazy and don’t want to ship things…but since I’ve had no takers, I think I will switch the two things I listed over to e-Bay. I don’t like the thought of being charged even if I don’t sell something though….sigh. I’m just not into the selling thing. I prefer to trade books on Paperback Swap, or freecycle through my local network. I have very little clutter this way, and I can feel good about it, too. Consider it my charitable contribution, rather than selling the stuff. Maybe I should give Craiglist a try. I am going to go do this today when I get home. I need to clean out a bunch of things I don’t need anyway; I’m sort of a pack rat. This will achieve a double purpose too… Clean up while making money! Day 3 savings: $25. Better than yesterday, but I’m having doubts that I’ll reach that $1000 mark. FYI Paypal will hold your money for 21 days if you have never sold stuff and its very hard to get your money before that even if you follow the process…! Ok, tonight I will gather together a box of things to sell. I may wait till this weekend to actually list as I think my sister might already have an account set up for ebay. Thanks to all for the ideas about alternatives to ebay, I may try a few of those, too. And great comic timing Kenny on being tempted to buy the headphones, and John’s quip about not getting any offers for his virginity had me laughing out loud at work. Who knew it would be this much fun trying to save money! Just wanted to mention that if your stuff doesn’t sell on Ebay you are still charged a fee. I recently stopped selling on Ebay because I ended up paying more in fees that selling. Well, I know I won’t be taking the ebay route. Does anybody know of a site where you can sell your stuff and you won’t be charged a fee? In this case, I am better off taking it to a cosignment shop. They charge you a percentage of what you make. At least you do not have to pay if you do not make anything. I had a yard sale 2 weeks ago and made $250 on clothes, shoes and household items that were just sitting there collecting dust. My husband was dragging his feet all week when I asked him to go through his things and start a yard sale pile. But he turned into a believer when he saw how much we raked in. The best part was the good feeling I got by helping families that might be struggling get good, clean, quality clothes and items at a fraction of the price they would spend for them new at a store. That’s a good way to get started… just sell something and don’t worry about the making money part. I’m all worried about getting ripped off, not making money, the time wasted in driving to the PO, etc., that the stuff just sits at home. I think I will start by ebaying some of my dad’s “vintage” engineering textbooks! If you are artistic or crafty, consider selling some self-made items on etsy.com. This goes along with what Ramit said about freelancing or taking a second job part time, but also falls into the selling online category. Ok, I just wanted to update I sold two books for $15. That money will go to savings. I put some old video games that were hanging around the apartment forever on Amazon. 2 of them sold in 15 minutes for a total of $49 after commission and these are year old+ games. Needless to say a couple more went up last night. I have 9 auctions up right now for yarn and clothing that are currently at $55 total with 3 days left. One auction already finished for a coat for $7, but I haven’t received payment yet. Here’s hoping I get up to $75 with this tip! I might even do a few more auctions later in the month. I have never sold anything on eBay, but I regularly sell textbooks on eBay’s half.com. There are no fees there if you don’t sell, and you can sell other books there as well. The books are listed by condition (new, like new, very good and good). So after I determine my book’s condition (when you sell, a description of what constitutes each level is given), I check the prices and then offer it at just lower than the cheapest of that level, or just lower than the most expensive of the level below. I think this is a good strategy because I also buy my textbooks there and that is the strategy I use to choose which to buy. Selling something on Ebay can be over whelming if you have never done it! Craislist is free, you can post photo’s and the buyer takes the items with him. A flee market also works. Challenge a couple of friends to see how much stuff they can clear out of the storage space. Load your cars up and see who can sell the most. You share the cost of the vender space and have someone to chat with while you sell. I, seriously, have a box of “to sell on ebay” stuff in the basement. I guess I need to get off my a$$ and make some money, huh? My first attempt after reading this tip was a set of fantasy novels (1st Editions Hard Covers) that had been taking space on my shelf. They sold and for $25 at that. Not bad for an hour’s work. Hi…I just stumbled across these great tips…as I was trying to find some good keywords on Google….I had no idea that Craiglist and the others even existed….My fiance sells on ebay…and was doing quite well until paypal tried to rip him out of allot of money….Now were scared to sell on ebay….because they will only let you use paypal to collect any monies…..I dunno what happened to them…maybe it’s because so many people are dishonest….or maybe they know they have you because that’s the only way you can sell…..If anyone has any tips on this…please advise….many thanks for ALL your awesome tips….. Thanks for the info. Now I know to just stick to my local cosignment shop. Update… this got me to post some stuff that I had been meaning to put up, but hadn’t gotten around to… Most went for what I expected – less than $15. One antique clock went for $178. I was shocked!! I have had mixed, but mostly unsuccessful, results with Ebay – even as a buyer. I have found that Ebay is cluttered with new items (of questionable source) listed by sellers who do it professionally and that it is next to impossible to search for used items (and I have contacted Ebay to request additional filters of this nature). I think it affects sellers as well. I have searched Ebay as a buyer for clothing, accessories, housewares, electronics, craft items, and vintage items, so I deem it reasonable to expect that such items could also *sell* – however my experience is that even when I list a large number of different items (within these types) and cross-reference them (at low prices with good photos and minimalist, informative listings), I simply am not able to sell them. The only real luck I have had with selling has been with collectors items, and even those sold at incredibly low prices. I haven’t given up on Ebay as a means for de-cluttering and reusing/repurposing, but I don’t feel that it’s been a money-saving or money-making tool for me at all. The money I have lost to date is probably no more than $200 tops (on all my listing fees, etc, combined), but that’s still $200 lost, in the face of maybe $50 gained (a net loss of $150, guesstimated). On the other hand, I have found that organizations like Freecycle and CraigsList have been infinitely more helpful to me in saving money and de-cluttering than Ebay. Louisa, fair enough. Out of curiosity, how much do you list them for? Try $0.99 to get the maximum # of bids. i sold a router last week for a net of $25. i’ve a bit of music equipment i’ll bee selling when i make it back home next week that should net me between $300-$500 at least. I’ve lost money on eBay before, once you calculate the shipping, time put in and insertion fees. I’ve been decluttering my house instead. I gave 2 boxes of things to the Salvation Army that were garage-sale worthy (but this is the wrong season for garage sales here). I trashed 3 boxes of junk that way lying around the house. Less effort to clean that room now! Thanks for getting me off my duff. I recently made a Salvation Army drop-off, but still had a few things hanging around. I’d been talking myself out of selling them online because it would be too difficult. After reading your post about barriers, I realized that I didn’t actually KNOW it was hard to post, because I hadn’t actually TRIED it yet! So I got on craigslist.com, and voila! I have two items posted in less time than it took to read this post and all the comments! 🙂 Thanks for your great work here. I think it is a great idea to sell something on ebay to make some extra money. If you are not using it, there is someone out there that is willing to buy it. I have a question for all members, what do you think about starting a home based business to make some extra money? My friend told me about a health home based business where were you use a product and once it works great for you; you refer other people to buy it and your make money off of the product that your referrals buy. There is no cost to start the business but you must by the product on auto-ship every month to stay active and make money. I want to give it a try. The product cost $20 a month and there a a potential to make good money and I can stop at any time. What are your views? There are a lot of get rich quick schemes out there so be careful. It sounds like the person who is selling the product is making a mint to require that you buy the product once a month. What if you are not using the product up that quickly? Then it becomes a waste of money to you or what if you do not like the product that much? You cancel the autoship and you make no more money. There is a lot to consider here. Just be careful. With the economy being the way it is now, everyone is looking for a quck fix. Awesome info. Nice blog. I will keep reading. I’ve sold on eBay quite a bit, and the net ends up not really being worth it for me. Taking pictures of the items = about 20 minutes per item (including putting the clothes on the mannequin, taking about 5 pics, downloading to the computer, fixing the images in Photoshop, then uploading to the image-hosting service), writing the description = about 15 minutes per item (including taking the measurements – I usually sell vintage clothes), wrapping the item = about 10 minutes per item, taking it to the post office / waiting in line / sending it = about 20 minutes+, and let’s say miscellaneous = about 10 minutes per item. This is a conservative estimate (I sold on eBay nearly every week for a year, so I’m pretty sure I’m right). I’d say I end up making about $15 per item average. Fees from Vendio and eBay take about $1.50 of that. So this ends up being…an hour and 15 minutes for $13.50, at most. This is about $10.80 an hour, at most. My time is worth more than that. After a year of nearly full-time selling, I stopped. It was too much work for too little return, and the customers were sometimes really a pain (not all – many are really nice, but some…egh…). I do appreciate the philosophy of selling something, anything, to get the money moving, and that’s a good idea, but only to a certain point. In my experience, it does matter what I sell, and how much money I make for that item. That said, there are some amazing sales I’ve made. Beginner’s luck: that cheapo 60’s owl purse I sold my first week for $120. Owls were trendy that season.